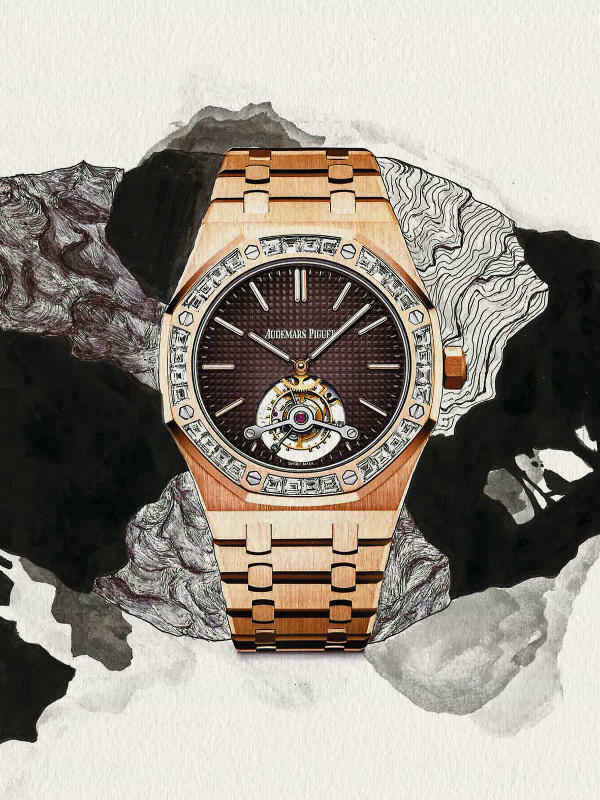 Born of the elements and sculpted into a high shine, diamonds lift statement timepieces to a higher plane. 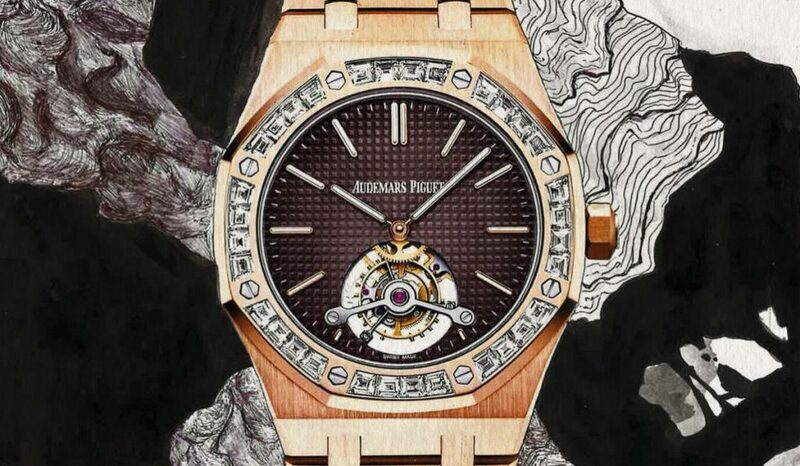 Brilliantly cool and angular in form, the 32 baguette-cut diamonds on the bezel of the Audemars Piguet Royal Oak Tourbillon Extra-Thin are warmly balanced out by plenty of other elements: These include the deep-brown dial decorated with the brand’s Petite Tapisserie engraving pattern and the pink gold of the watch’s 41mm case. Holding its own against all these striking elements is the tourbillon of the ultra-thin, manually wound Calibre 2924.